By working with the very best fresh ingredients from the region and our extensive experience in the profession, we have delivered high quality for many years. 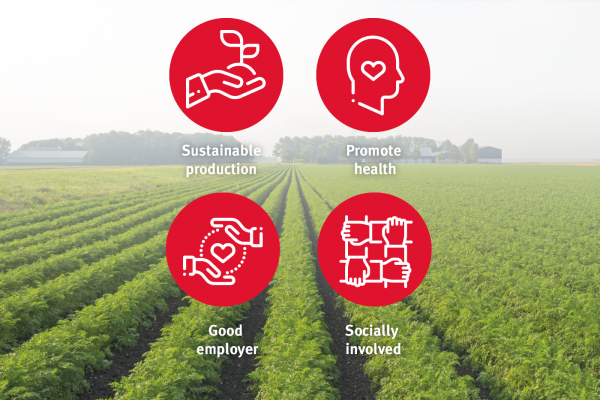 The vegetables we use in our products come directly from the land. 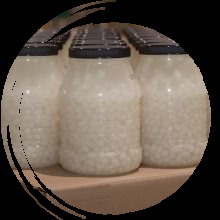 Because we pasteurise/sterilise our productions and package them properly, you can store them for a long time – 3 years! We work with fresh products only. Through our long experience and professional employees, we are capable of optimally managing our processes. The quality of our final product is central to everything we do. As part of this, we must constantly switch between customer demand and the seasonal products that can or cannot be harvested. Our fresh products comply with the highest standards of quality. Our employees ensure that this process runs smoothly. We’d be nowhere without them! In order to be able to develop their skills as much as possible, we provide our employees with internal training. In addition to this, we like to offer people lagging behind in the employment market an opportunity within our company. As an organisation, we feel it is important to support social initiatives. We therefore also make regular (financial) contributions to charities and non-profit organisations. 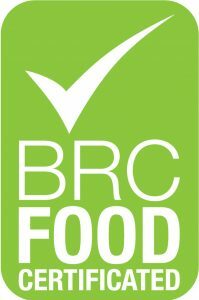 Van der Kroon Food Products B.V. is BRC-certified. 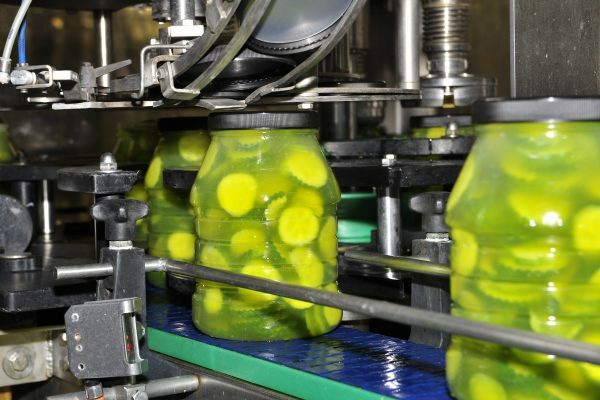 This means that we work according to a food safety system that complies with the requirements set by the British Retail Consortium and work in accordance with HACCP principles. This way, we guarantee a high-quality and safe product. 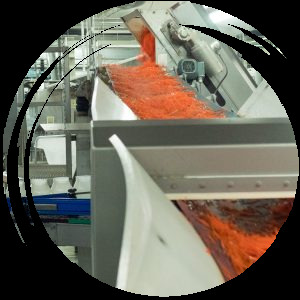 Please ask us about the options for production and certification in relation to Kosher, Halal and free-range products. 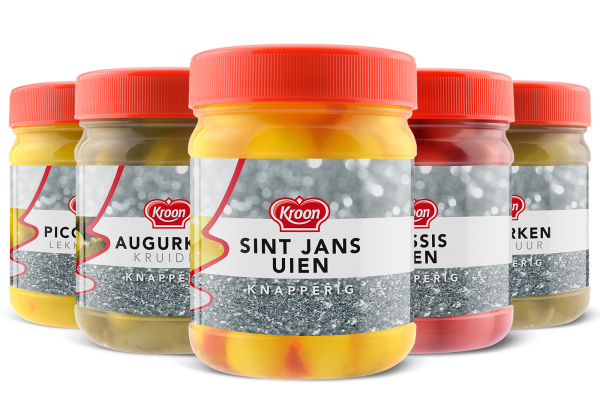 Our R&D department develops products that are distinguished by their flavour and appearance. We develop a delicious and unique flavour for every use, as per the client’s wishes. In addition, R&D ensures optimal harmonisation of processes and machines in conjunction with the technical service and the other departments involved. This way we guarantee a perfect final product with a delicious flavour, attractive appearance and long BBE. Day in, day out.